Post Baskets | Morrison Industrial Equipment Co.
Baskets offer a variety of storage space. 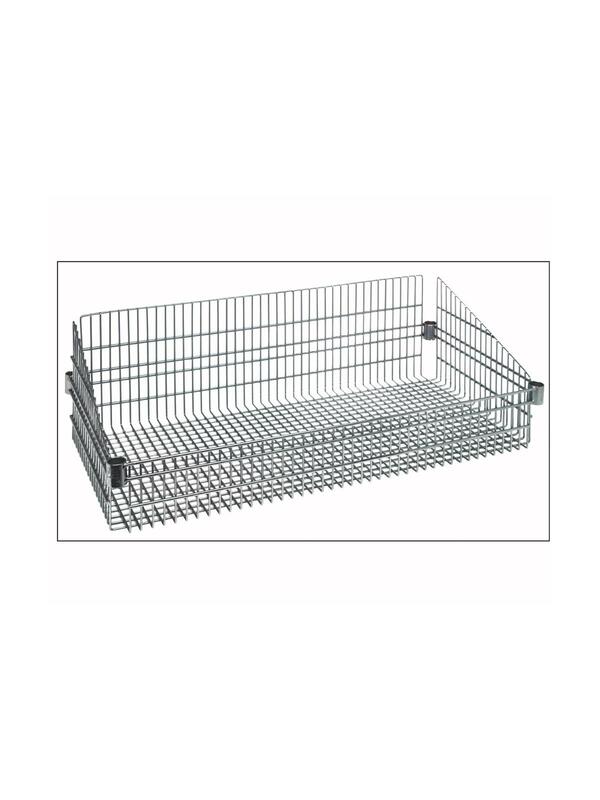 Post baskets are manufactured of heavy-duty chrome wire offering a 5/8" x 5/8" mesh design on the bottom/flat surface. Super heavy-duty design affords a 600-800 lb. load capacity evenly distributed. Drop front and sloped sides provide super easy access while providing a captive space for all stored items. 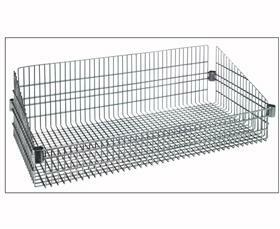 Baskets are adjustable on 1" increments utilizing standard 1" diameter posts. Chrome finish. FOB Shipping Point. See Related Items tab for Complete Post Basket Mobile Units.